Based on the latest NDIC data, total oil production in North Dakota fell to 1118 kbo/d in February, a monthly drop of just 4 kbo/d. This decline was less than I expected (> 20 kbo/d), but we have seen in the past regularly monthly fluctuations that defied the trend. The number of new wells producing dropped to 62, vs 70 in January. New wells spud dropped much more drastically from 62 in January, to just 31 in February. Preliminary data suggests that a similar amount of wells were spud in March. In the well status tab, you can now also see the wells that are spud, but not yet producing. Almost all of these wells are completely drilled (DUCs), but a few are still in the drilling process. By the end of next week I will post another update on the Eagle Ford. d. less shutins (more days on line) because less completions going on. 2. Lag not properly modeled. Glad I came across your website this morning, I enjoyed the read. I would only comment that the production by year and by operator may be a bit skewed by the mix of 1 mile laterals vs. later longer laterals. Nice work. I agree with you, and I think that several aspects of the well design play important roles in the productivity. Unfortunately that level of detail is not easily available. Any such feedback on the analyses is therefore greatly appreciated. Agreed. The tendency for larger prop volumes and closer frac staging is also seem to play a significant role in the IP and EUR. You did an analysis a while ago looking at quality of the DUC population. It showed (counter-intuitively) that the geology of DUCs was better than average. I wonder if the population of DUCS is still somehow quality impaired. Would just think that companies would be pushing the better wells to completion earlier and that even logistics would be easier on average (more concentrated area, more pre existing infrastructure). But if there are some that they are holding back logic would say they are worse. Especially given the relatively low slope of the futures curve and that cost reductions for services have already stabilized (I’m guessing on that). Perhaps the remaining wells had logging while drilling results that showed poorly, even given the nice locations? For instance, these are just the few in the distribution that are bad (even within a nice area there is some variability). Or perhaps these are wells that didn’t land well in the zone (being a few feet high or low can make a big difference on quality of the well, also having wells that snake up/down a lot makes the well less easy to complete and operate. These two effects can even fight each other a bit and be affected by the depth variability of the target zone along the lateral. If I remember correctly, I found that DUCs on average should be about 10% better than the average well. This was based on the performance of the nearest well to the DUC. This method has quite some uncertainty indeed, as it cannot e.g. check for whether the DUC is in a bad formation close to a well in a good formation (e.g. MB vs TF). 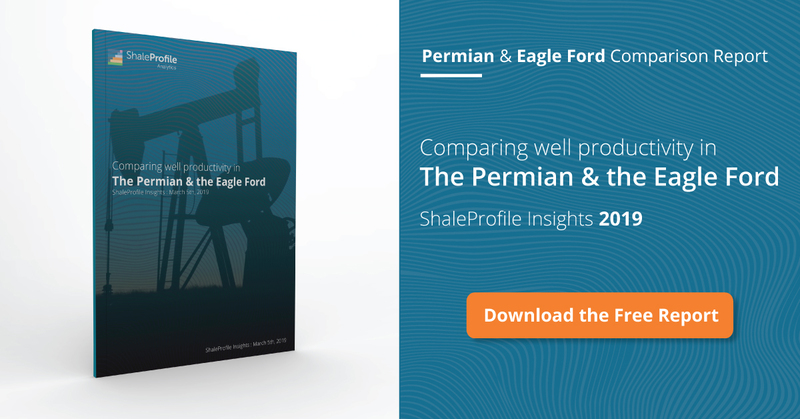 Both logic, and the data, shows that in general operators prefer to complete better wells first, although as you say there are other considerations as well. Another factor may be the different strategies operators employ. E.g. an operator known to have very good acreage, EOG, also has been building up more DUCs relative to other operators. I didn’t plan on repeating that analysis any time soon, although I did want to look at the average time wells are spending not being completed; are operators performing more LIFO or FIFO, and how did this change over time. Great ideas for additional analyses. The breakdown by operator. The LIFO/FIFO. EOG said they are still drilling in the Bakken because they have a high penalty to cancel rig contract. They said it explicitly in the conf call. [The situation is so similar with CLR, that I suspect it is same. But unfortunately not completely nailed down in conf call.] For EOG, brings up the question why they don’t complete though. Sure they may have “sunk cost” of drilling, so drill. But then are the resultant wells negative to complete at current prices? Essentially options only? Or is EOG inherently speculating on prices by waiting? Drilling wells, without intending to complete them at a definite date, looks to me like a dubious strategy, and one that most operators can ill afford. It could make sense if you do plan to bring them online later, and have sold the expected production at a higher price. Without knowing what prices and costs will do in the future, isn’t it otherwise just a risky gamble that could cost them the whole farm? Given the high costs of completion, an extended low price scenario could result in DUCs without much positive NPV. I don’t expect to see a net build in DUCs this year, although indeed some operators appear to have this intention. In 2015 more wells were completed than drilled, and we also saw that in the first two months of 2016. 1. Today’s conference call said that all the CLR rigs are on long contract. No roll-off planned for 2016. About 50% come off contract in 2017 and then would have the option to decreae rigs more. Seems pretty clear that level of activity in the Bakken is just lag because of long term contracts where the penalty is not worth dropping the rig. 2. Ever look at MT data? No, there are indeed quite some horizontal wells there, but there has been no rig activity for quite some time, and production is less than a tenth of NDs. I’m more interesting in Oklahoma, but my first impression that data there is again very troublesome.